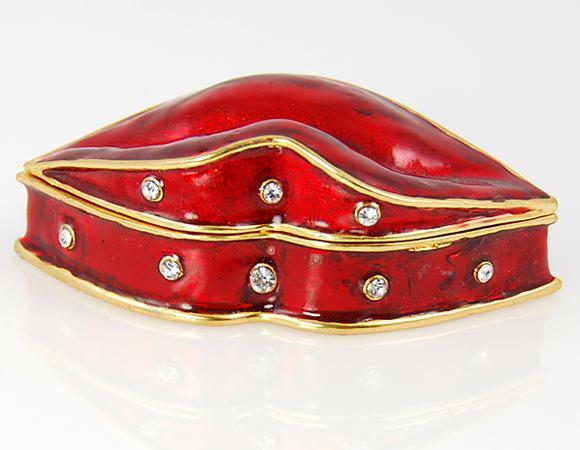 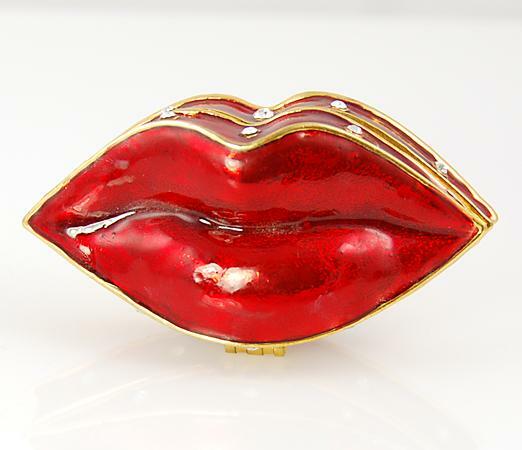 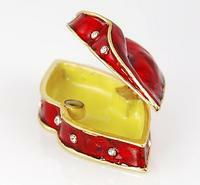 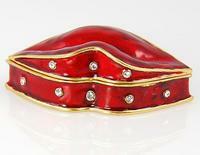 Red Hot Enamel Lip Box accented with Austrian crystals. 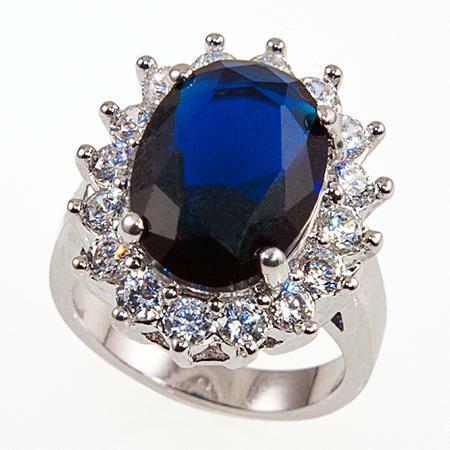 Opens to hold keepsakes. 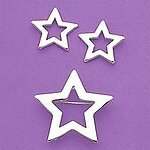 Out of this world - Silver open Star post Earrings and Pin Set.